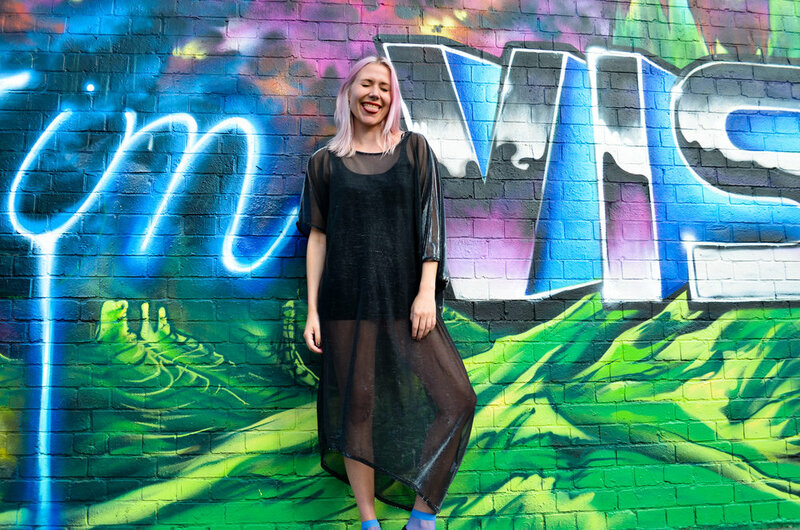 London Fields might be a world away from Copenhagen’s clean streets, but this sharer says there’s nowhere else she’d rather be living. Product Developer Carolinè joined The Nu Community after seeing a post on Instagram calling on East London’s fashion-conscious community. “I love how multi-cultural London is and that you are never bored”, Carolinè says. “I miss Scandinavia sometimes and I loved living in Copenhagen, but London is a lot more exciting and such a vibrant city”. Having studied Textile Product Development at the Swedish School of Textiles, Carolinè learnt a lot about the process of textile production. In 2013, she took a sustainable fashion course in Copenhagen, learning about sustainable design processes, slow fashion and sustainable sourcing. Since she was 18 Carolinè has worked in retail and vintage stores, gathering a collection of amazing clothes. As such, her wardrobe is made up of one of a kind pieces: “I would love to share some of these pieces and see them used and loved more often and by more people than me,” she says. And if Carolinè could hang out with any fictional character for the day? “It’d be Pippi Longstocking, the world’s strongest girl. She’s badass and has excellent style.” We couldn’t agree more.